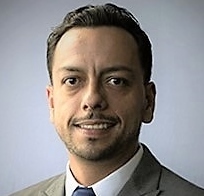 In this graduate student seminar Mehrdad Mehraein, Ph.D. presents research on seismic performance of bridge column-pile-shaft pin connections for ABC applications, and Sebastian Varela, Ph.D. presents design for disassembly - towards future resilient and sustainable ABC. Both research projects were conducted at the University of Nevada-Reno. Description: Bridges with integral superstructures are common in high-seismic regions. The superstructure and substructure are connected using rigid connections in these bridges. 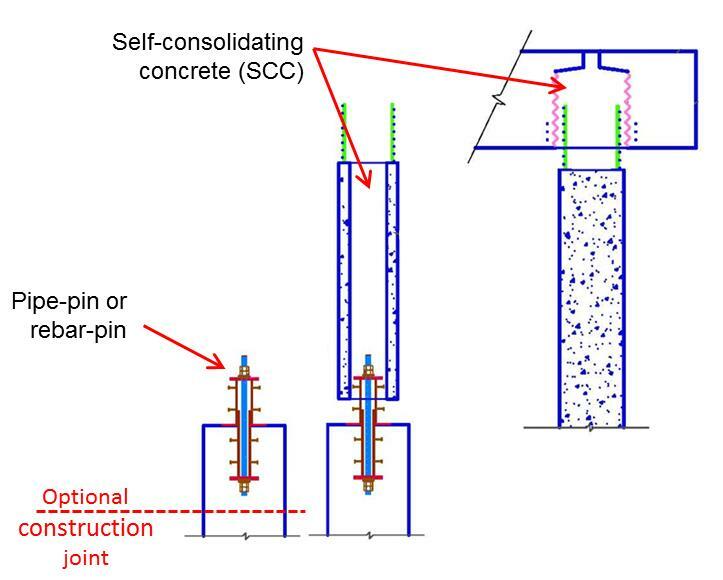 However, hinge or “pin” connections may be used to connect columns to pile-shafts to reduce the overall force demand in the integral bridges, leading to smaller and more economical foundations. Additionally, prefabrication of structural elements facilitates ABC, which could improve the quality and economy of project compared to CIP. 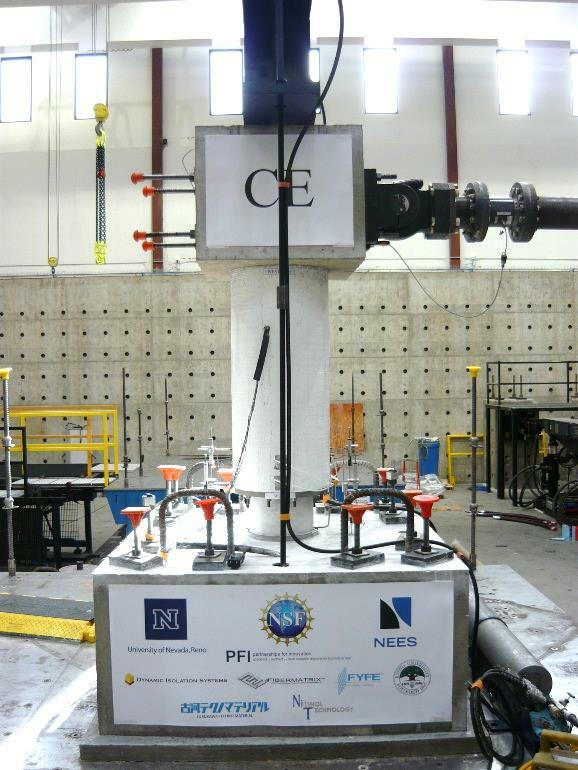 Experimental and analytical studies were conducted to investigate the seismic performance of such integral bents that utilize column-pile-shaft pin connections and constructed with prefabricated elements. 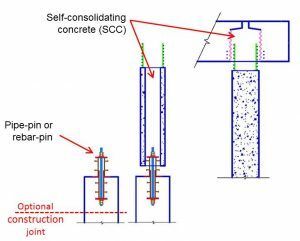 Accordingly, design guidelines were developed for the pin connections between column and pile-shaft. This presentation provides a summary of the studies and findings from this Caltrans research project that is partially counted as UNR’s ABC-UTC match. 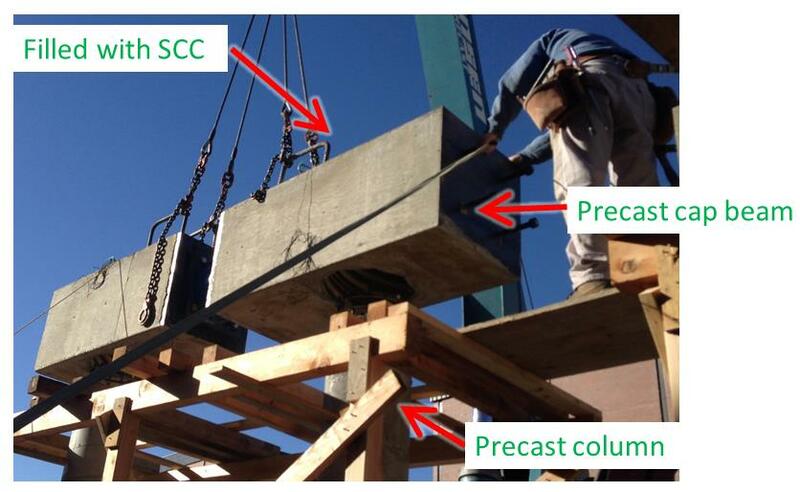 Description: Ordinary reinforced concrete bridges complying with modern seismic design provisions have been severely damaged in past strong earthquakes. Closing bridges after the earthquake for repair or replacement has led to major monetary losses and lasting effects. Rising concerns in recent years due to pollution, depletion of natural resources, and climate change also demonstrate that infrastructure needs to be sustainable in addition to being resilient. 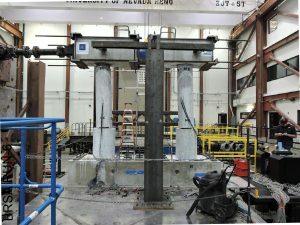 As part of a project funded by the National Science Foundation, novel column elements and details were developed to maintain bridges operational after strong earthquakes while also allowing for the bridge elements to be disassembled and reused. Since the bridge components are precast and can be rapidly assembled onsite, the new bridge system is compatible with the philosophy of ABC. 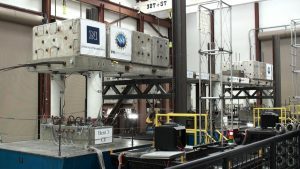 The feasibility of the new system was demonstrated through extensive large-scale experimental seismic studies supplemented by analytical studies. The presentation of this NSF research project at the 2014 and 2015 National ABC Conferences was partially supported by the ABC-UTC. Presentation 1, Figure 1. 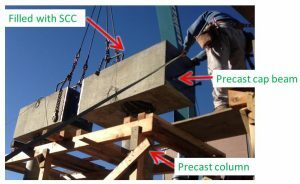 An ABC sequence was proposed using pin connections between the precast column and pile-shaft as well as pocket connections between the column and precast cap beam. Presentation 1, Figure 2. 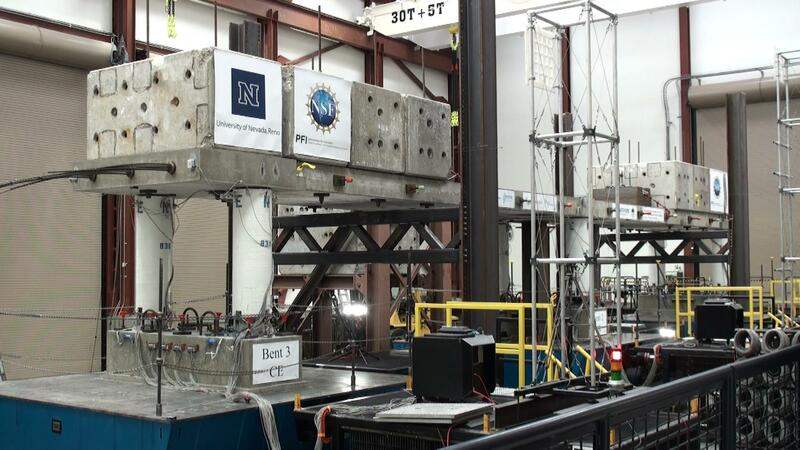 Two 1/3.75 scaled two-column bents were constructed and tested under earthquake loading at the University of Nevada, Reno. Pipe-pins were implemented in one bent and rebar-pins in the other. Presentation 1, Figure 3. The performances of the bents were evaluated through experimental studies. Based on the experimental and analytical studies, design guidelines were developed for bents with pinned column-pile-shaft connections. Presentation 2, Figures 1 & 2. 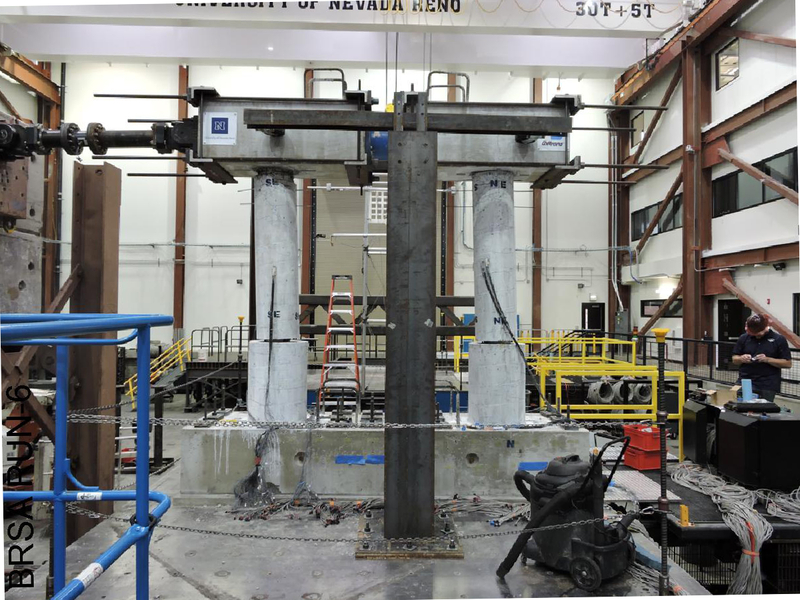 Three precast ¼-scale column models were tested under simulated earthquake loading at the University of Nevada, Reno. 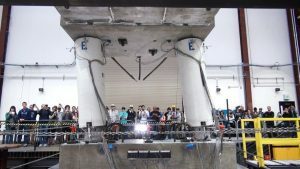 The test variables included the type of replaceable plastic hinge element at the base of the column and the type of reinforcing superelastic alloy. Each column was tested, disassembled, reassembled, and retested to assess the influence of reusing structural components. Presentation 2, Figures 3 & 4. 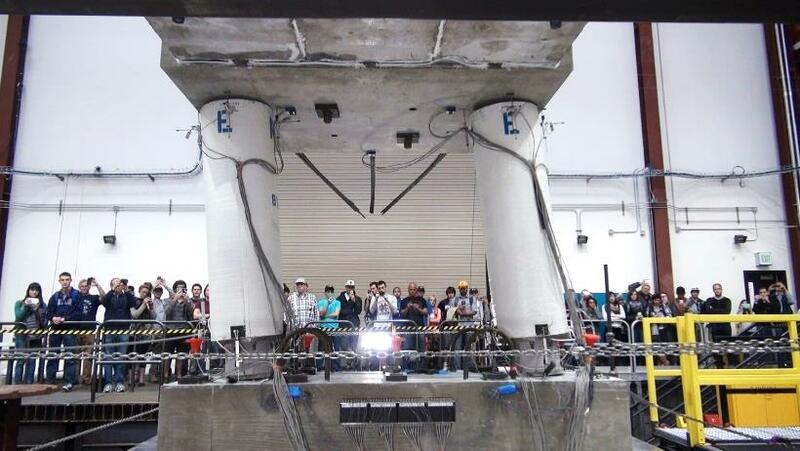 After single column tests were conducted, the new precast system was successfully evaluated by testing a three-bent two-span bridge model under strong simulated earthquakes. 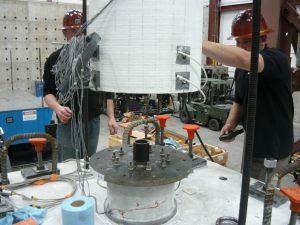 After testing, the bridge was disassembled and the components were inspected, followed by reassembly and retesting again. The comparison between the two bridges showed the effectiveness of the new system in minimizing disruption to service, providing an ABC solution, and facilitating reuse of components.